The Voluntary Organisations Fund within the Malta Council for the Voluntary Sector (MCVS) has launched the ‘Small Initiatives Support Scheme’ or ‘SIS’ to support small initiatives by Voluntary Organisations for the second consecutive year. This year 104 applications were submitted by Voluntary Organisations enrolled with the Commissioner for Voluntary Organisations who could apply under the Small Initiatives Support Scheme for projects costing not less than €1,000 and not more than €3,000. The number shows a 22% increase on the 2011 deadline. 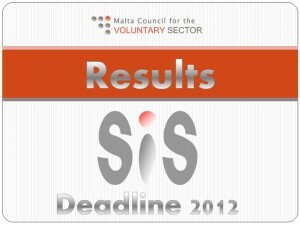 The Final Results for SIS 2012 Deadline can be viewed by clicking on this link. The Malta Council for the Voluntary Sector wishe those successful applicants all the best for their upcoming projects while encouraging those who were not successful to resubmit their projects in future deadlines. 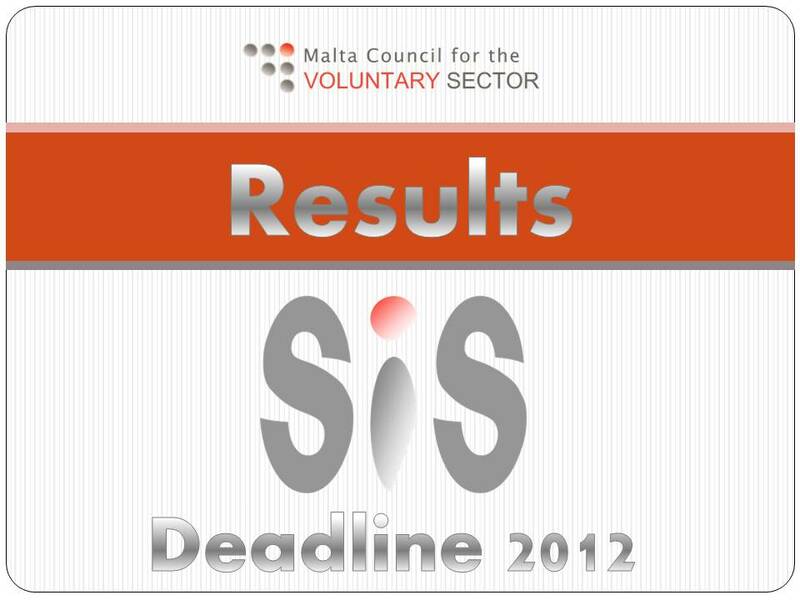 National Volunteer Award 2012 – ResultsLaqgħat għal-Organizzazzjonijiet Volontarji fil-Lokalita Tiegħek!